Sunday rolled back around… And we are getting REALLY good at them. Talk about a lifestyle change! I got up and had my quiet time, but still had plenty of time to make us a nice breakfast! 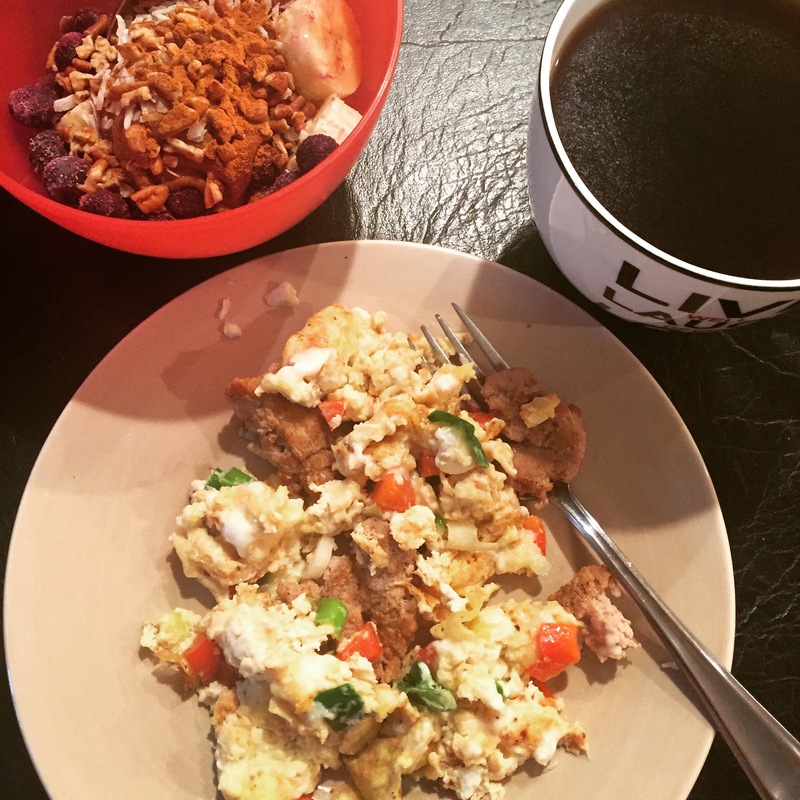 This morning I got a little adventurous with an egg, turkey, pepper scramble. And of course, a side of monkey salad! We just can’t get enough! We headed off to church; the music this week totally knocked my socks off! After service, Seth had plans to meet with a guy for coffee, so he did that and I went off to a quiet nook and read. It was delightful and the best part was I didn’t get hungry at all while I waited! Today is a good friend’s birthday and since we are heading over there later for a BBQ, we decided to grab her a little treat. She’s a gym friend, so we eat pretty similarly most of the time. But this girl does have a sweet tooth. I’d recently heard about a new cookie company in town and was dying to check them out. On the weekends, you can only find her at the Farmer’s Markets. Luckily Sunday’s market is just down the street from church, so we swung by and grabbed an assortment for the bday girl!